Tonight At 11: Could Reading Blogs Give You Small Pox??? Naturally, people were pretty glued to the news for information on more storms. The area news channels were over-joyed at the ratings, and capitalized on it by, from that point forward, making every weather report about “storms,” because storms are scary. And scary is what it’s all about, isn’t it? People complain and argue a lot about bias in the media, but ultimately, for the major news channels, they all have the same bias, right? They have a fear bias. Because, to paraphrase Yoda, Fear leads to Watching, Watching leads to Ratings, Ratings leads to Money, and Money leads to Big, Shiny Things That Other People Don’t Have. 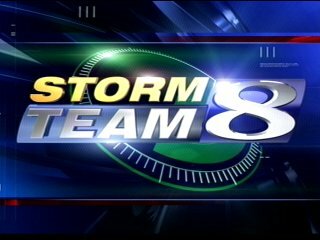 Wait, does this mean they're 2 better than Storm Team 6? Oh no! I'm watching the wrong one! it rains. And bear in mind that this was Portland, Oregon. It’s always raining. The reporters would always seem so earnest, though. “There’s a storm coming!!! A storm is coming, for the love of God! Barricade yourselves and get underground! If you have 4 children but only food for 3 you must kill one of your children it’s a mercy killing there’s a storm comiiiiiing!!! !” as the weather man collapses to the floor in a pool of fear and sweat. Remember on the original Star Trekwhen the ship would get hit, and the camera would jerk really hard to an angle, and the actors would grab the set and lean & shake? I always wish news anchors would do that – just take it to the ultimate. “Oh no! The storm is here! It’s too late!” and then the exciting music would swell, and they’d grab their desks and jerk around. Now that’d be quality news reporting. "Rain cloud off the port side, cap'n!" So, the 24-news channels are entertaining because they’ve reached a level of self-parody that’s jaw-dropping. Between the desperation to fill the 24-hour news cycle and the grab for ratings it’s like watching teen-age boys trying feverishly to impress a pretty girl. And about as dignified. But no matter how matter how many graphics and news-scrolls you have, you can only make Lindsay Lohan walking to her car so compelling, and you can only sustain fear for so long. I don’t know who else had or remembers those “Tonight at 11!” ads, but that was some gold-medal fear-mongering. You’d be watching whatever, and there’d be this short ad for the 11:00 news that’d simply say “Tonight at 11!” and then some tantalizing bit. “Tonight at 11! Has the city’s water supply been poisoned?? ?” And you’d say, “Um, what?” and then you’d watch and they’d say, “No, of course not. What a stupid question.” But they got you – you’d tuned in. For those of you who are wondering: you would die. "Now turn on your hazard lights. Good..."
it before racing feverishly across a bridge. But what a thing to plant, fear-wise, into someone’s head, right? 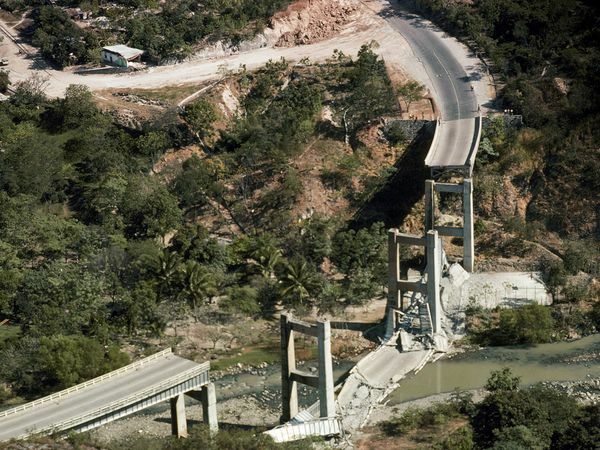 That in the astronomically unlikely event that a major earthquake hits, and that when it hits you will be on a bridge, that you won’t know what to do. So, I’m not an anti-TV person; we don’t have cable or satellite or anything, but I’m not someone who pshaw’s and snorts derisively when someone brings up television. Sure, the vast majority of it is, as Newton Minow once famously said, “a vast wasteland,” but then the Internet is one of the most transformative, important innovations in centuries and the overwhelming majority of it is, as Newton Minow recently, less famously said (sequels, right? Never the same), “a vaster wasteland.” But my point is that I’m not one of those people who starts any conversation about TV with disdain, and excuses about why I even know TV exists (“uh, the only reason I even have a television is because I won it… in a reading contest…”). After all, just in the last ten years television has brought The Wire, and Arrested Development, and Breaking Bad, to name just a few. Sometimes you do just have to marvel, though, don’t you? And also that one of the things I do miss about satellite is TV news. Sure, I get news from the Internet, but it’s too easy to find higher quality news. It’s just not the same. TV news is just so damn entertaining, and without it I have to figure out things to be afraid of all on my own. Like collapsing ceilings. ← Maybe they’ll put product placement in it? Yeah, I love it because I’ve been a city dweller all my life and suburbia not only gives me the screaming heebie jeebies, but I also see it as what is WRONG with this country. And just as I’ve been sucked in by the “Tonight at 11!” I read the blog post you created. Thanks! Fear – it is the best method known to make people do what you want them to do. Scare them, then suggest the fix. The more unlikely the scenario, the more expensive the fix, yes? TV – I love Murder Mysteries. Canada’s Murdock Mysteries is just the best. This set off a whole range of associations in my head, starting with Galaxy Quest and ending with The Day After Tomorrow. 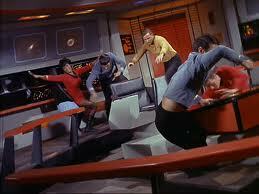 Special effects have moved on a bit since actors were grabbing stuff and pretending to fall over. How about some of that in your weather reports? Eight or ten computer-generated twisters in the background would seriously liven things up. Now then, help me out here – TV is not my strong point. Which channels run weekly specials on smallpox treatment? And anything that makes you think of GalaxyQuest is good thing. My work here is done. CNN.com reels me in with the same headlines (sometimes worse, if you’ve ever viewed their Entertainment section), but luckily, I don’t believe everything I read. I do however, believe everything I see (hey, can’t win ’em all), so that’s why it’s vital I veer away from Channel X News at X. They’ll getcha. After all, they have all the new predator tips. But, unless there’s free candy involved, they don’t have this girl. Yes, if TV news has taught us anything, it’s that the population of the globe is about 75% sociopathic predators, 25% potential victims. You can always ask what kind of candy, too. Put ’em to the test. In Florida, after Hurricane Andrew, they adopted an approach similar to the Portland News Team. “Omigod! There is something that looks like it might possibly turn into a tropical depression off the coast of Africa! At this moment we have no idea of its potential trajectory or whether it will develop into anything more than a few grey clouds but just to be safe, you’d better batten down the hatches! Don’t forget to buy gallons of water!” They get everyone into such an uproar and then nothing would happen except perhaps a few drunken hurricane parties. Your hyperbole of the mercy killing of the extra child was particularly humorous. Thanks for the laughs! Eventually they’ll just have to yell “DEATH DEATH DEATH! !” to even get our attention. Thanks for reading, by the way.